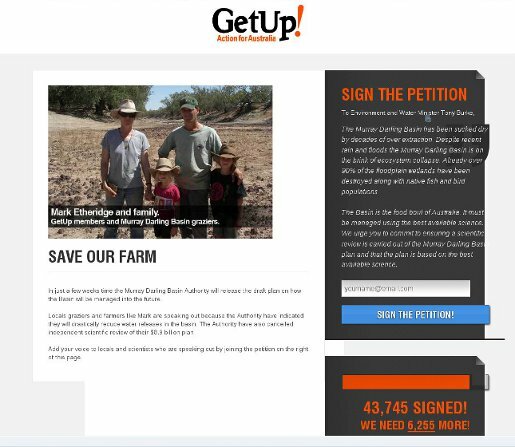 GetUp has a campaign going on water and sustainability in the Murray Darling Basin, a contemporary issue at the heart of Yeomans’ program for better use of water in agriculture. It needs more support so sign up here. This entry was posted in Climate Change, Farming, Politics, Sustainable agriculture and tagged GetUp, Murray Darling Basin. Bookmark the permalink. Post a comment or leave a trackback: Trackback URL.